Hi! Let's talk about having a divatude which of course, you won't understand until after you've read this message. In today's world where there is so much chaos and less peace, it is easier to go with the flow of being chaotic ie; having a negative attitude of worry, anxiety and depression. There are a group of people in a very dark tunnel, all of them very agitated and anxious. Then all of a sudden they notice a ray of light ahead of them. What do you think their demeanor will change to? One of excitement, joy, relief and some sort of calmness right? And what happens next? They begin to follow it to find its source. Great! The dark tunnel represents the world we live in now, the people in it represent everyone of us that is full of negativity and anxiety and the light is that beautiful person who is full of positivity, speaks words of life... That person with a DIVATUDE and divatude here refers to DIVINE ATTITUDE. That person who has allowed himself/herself to be influenced by the Bible verse which says "be still and know that I am God". Sweetheart, the long and short of this message is, as a Christian, as a child of God living in this dark chaotic world, you are to be that ray of light that will draw people to Christ. You can't do that by being negative like everyone else, you have to be different, you've got to have the DIVATUDE to inspire the world and to bring life and hope. You need to have a positive attitude, speaking life into every situation and bringing hope in order to have people follow you to Christ. Sometimes, I have people telling me I am too "I don't care". More like I can't really be bothered about situations I am expected to worry about. Someone who has promised to take care of His children and I am His child. So why should I worry? I've got to have a divatude. Hey, look, whatever situation you are in, keep a divine attitude of positivity knowing that you have a God who never fails. It may be taking long to answer but His time is always best. The world needs you to inspire them and you can only do that with a divine attitude. 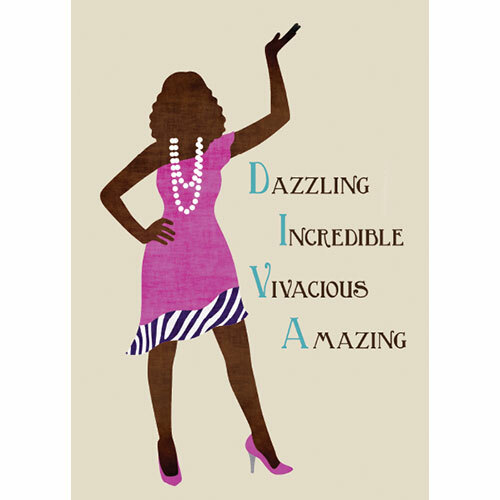 So today, what I'm telling you is, have a DIVATUDE.